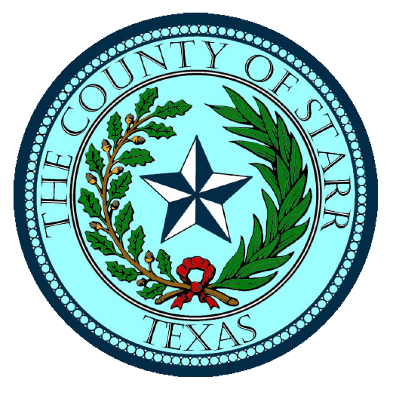 Along with other counties along the Rio Grande Valley, Starr County is dealing with a notice from the Texas Secretary of State’s Office that flagged potential non-citizens on its list of registered voters. John Rodriguez, director of Starr County elections, said his office received a list of more than 250 registered voters last week that were flagged by the state as potential non-U.S. citizens. The list contained 282 voters, according to information sent to the Hidalgo County elections office that included information for neighboring counties. On Tuesday, though, the state retracted some of those names, leaving about 211 voters on the Starr County list, according to Rodriguez. But while elections departments from Hidalgo and Cameron counties have held off on sending notices to those individuals, Rodriguez said his office already sent out letters to them, informing them they must report to the office with proof of citizenship within 30 days lest their registration be cancelled. Rodriguez explained his staff sent out the notices to voters before they were aware that doing so was at their discretion. The advisory from the secretary of state’s office, which was sent to counties throughout the state, led to an immediate backlash from civil rights groups. Thirteen groups — including the Texas Civil Rights Project and the ACLU of Texas — penned a letter to Secretary of State David Whitley demanding that he rescind the advisory. The groups criticized the state’s methodology, which used documents submitted to DPS that indicated the person was not a U.S. Citizen at the time they obtained a driver’s license or a personal ID card. They argued that method was flawed because it didn’t take into account the possibility that those people became naturalized citizens afterward. Additionally, they warned that they believed any actions taken based on the list would likely violate the National Voter Registration Act which prohibits performing list maintenance in a non-discriminatory fashion. Since the notices were sent out, Rodriguez said that about 30 to 35 people have come to his office to verify their citizenship. Had his staff been aware that sending them out was an option, they would have looked into what resources were at their disposal to verify citizenship prior to sending them, Rodriguez said. However, he cited the number of voters that have reported to the office in response to the notice. “We haven’t had any problems or issues by them following what they have to do, coming to the office,” Rodriguez said, adding that they explain what the letter is about if the voter doesn’t understand. “We haven’t had any issues at the moment,” he said.